JOB DESCRIPTION: As a Comfort Consultant, it is my responsibility to represent and sell the Company’s Indoor Air Quality, Residential Change Out, New Residential Systems and other home comfort products and services. 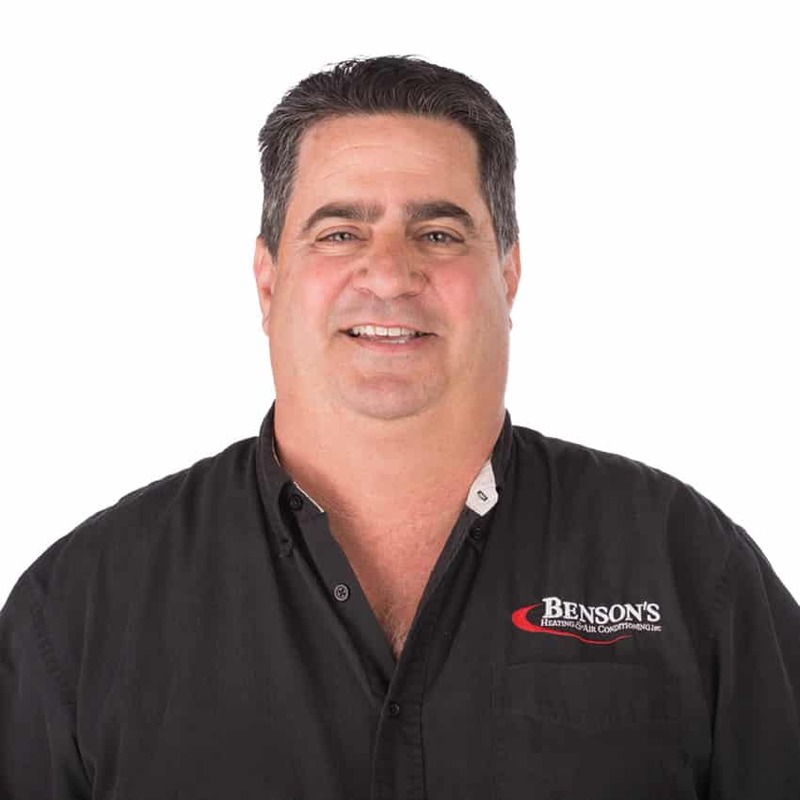 INDUSTRY EXPERIENCE: I began working with Benson Green in 1986, back when it was just us in one truck. Since then, I have worked in all departments here at Benson’s. I started in residential service, then commercial service, residential and commercial new construction, commercial controls and sales.